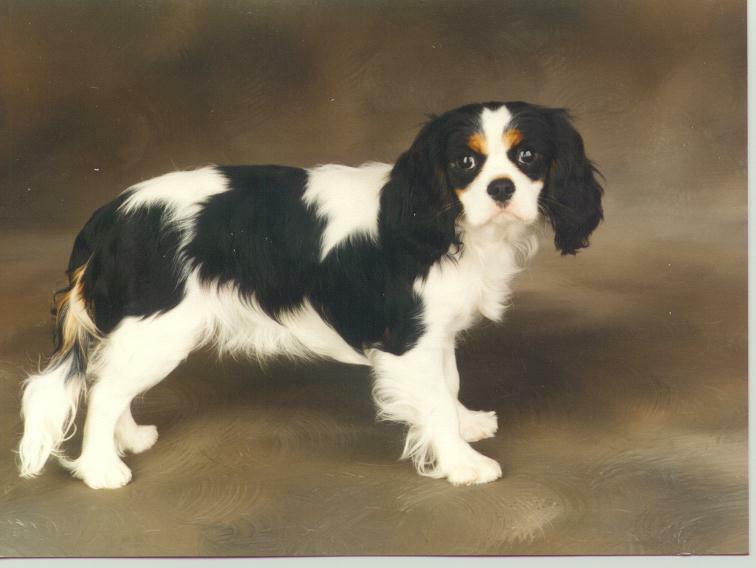 Born in 1990 and bought by us from Ellie Mordecai when she was 6 months old, Betsy was to be our first show Cavalier. 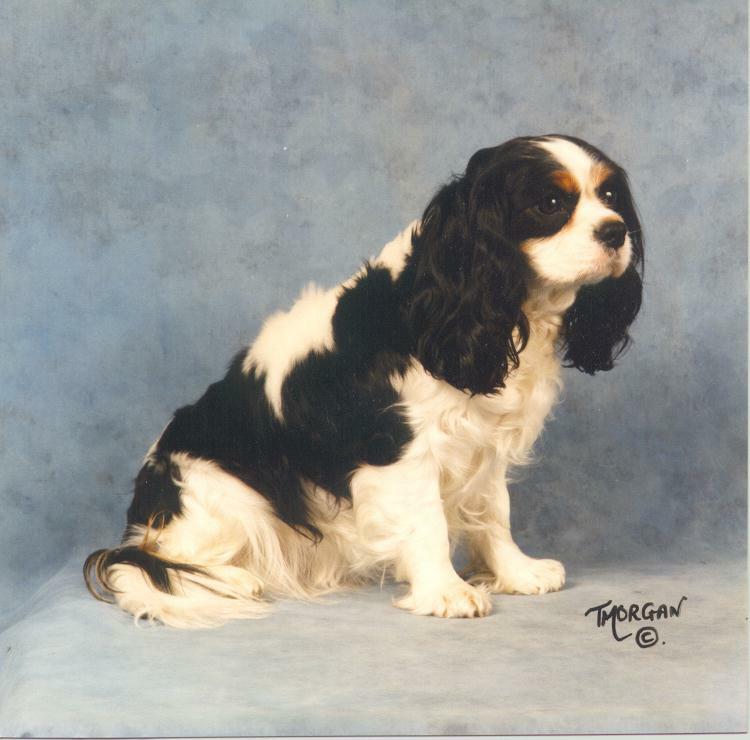 In her first show in May 1991 she was awarded reserve place in a Minor Puppy class and before the year was out had a Best Puppy and Reserve Best of Breed awards at Barking Canine Clubs Open show. 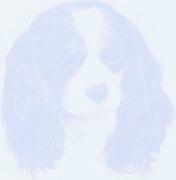 Whilst in novice Betsy gained a further Reserve Best of Breed and a Best of Breed award. 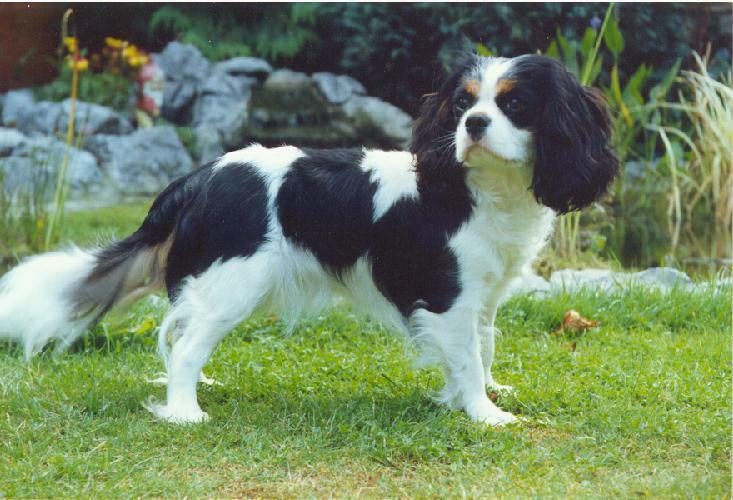 At the Humberside CKCS Club Championship Show in 1992 she was 1st in the non qualifying Special tri Colour class. Sadly in those days you need to be 2nd or better to qualify for Crufts and that will be one event that Betsy never visits. After time out for maternal duties Betsy returned in 1997 and was again 1st in a Special tri Colour class, this time at the Eastern Counties CKCS Society Championship Show. She started showing in veteran classes with a 2nd at The CKCS Club's Limited Show and continued to be regularly placed during 1998 and 1999.